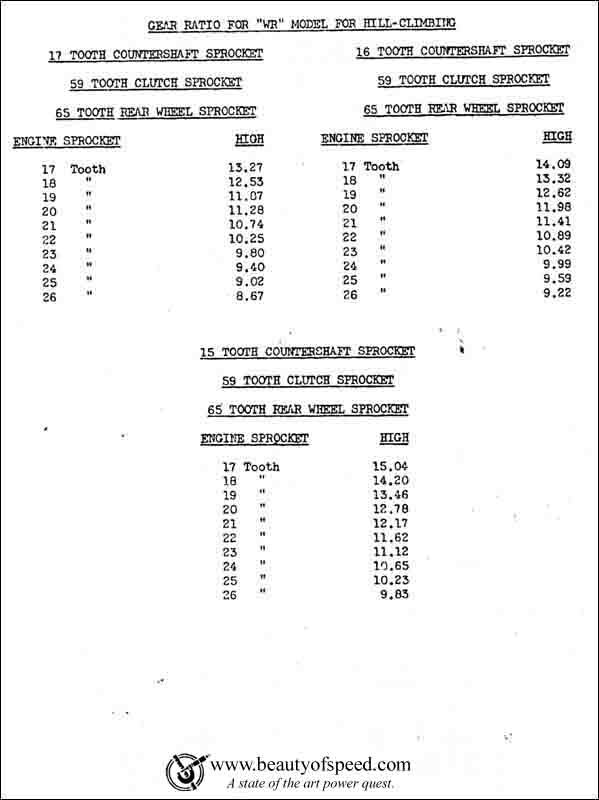 This sheet giving gear ratios for hillclimb racing seems to be extracted from a WR specifications & instructions booklet. This is indicated from the page layout and the fact that the page was numbered at the bottom [p. 15]. We do not however know which year it is from as we got this sheet alone. Thanks to Bruce Linsday for sending us copies of this document.